Life is painful. Pure and simple. People fail to meet our expectations. Reality often doesn’t measure up to the visions we’ve created for our relationships or life experiences. This dissonance creates disappointment. These disappointments can cause us to question the purpose and meaning of life. I believe it’s the questioning of the meaning of our pain and suffering that leads us down the path to our spiritual awakening. This process transforms us into new beings who radiate greater and greater degrees of light and love that then serves to heal our world. My personal journey has been full of questioning. Although I was 16 years old when I first began questioning the afterlife while writing a research paper on Death and Dying, my spiritual awakening and transformation transpired most prominently over the past 15 years. It started at a spiritual retreat in January 2003. I experienced a very profound, mystical experience of powerful energy, which I refer to as the Holy Spirit, opening up places within me I never knew were closed. It reached into the depth of my being and cleared out the wounded parts of me where I held on to feelings of shame and inadequacy. By the end of that retreat I felt like a new person. It left me with an unquenchable thirst and desire to understand what had just transpired. This question led me on a 15-year journey of studying theology, spirituality, energy healing and soul-level healing using the Akashic records and applying it to my own life. Through this process, it became clear to me that my personal mission is to serve as a vessel for the Holy Spirit to facilitate healing, enlightenment and transformation in others’ lives by sharing what I’ve learned and experienced. 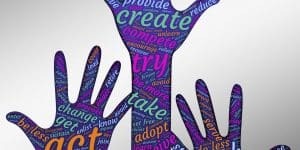 What is the most empowering concept I’ve learned over these past 15 years? One concept that has helped me to better understand the meaning of life is that our souls plan what we wish to learn prior to incarnating. We do this with guidance from the spiritual realm, as well as with other souls with whom we choose to experience our lives. I can choose to view my life’s challenges as senseless or meaningless; a result of being a victim of what God or the Universe or other people are doing TO me. Or I can choose to view them as a means to develop the qualities and attributes that my soul desired to learn in this lifetime. 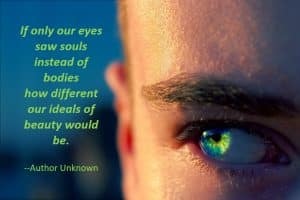 When I’ve shifted my perspective to “seeing souls instead of bodies,” especially of those who’ve disappointed me, I’ve gained a whole new whole new way of seeing beauty in others. And this shift in perspective, my friend, has been life-changing. Would you like to know how to view your life from your soul’s perspective? Would you like to know what life lessons your soul has chosen for this lifetime? Schedule a Discovery call with me and I can help you discern your next steps. This is the Inside Cover Story of the August edition of the 2018 international online publication, SIBYL MAGAZINE—For the Spirit and Soul of Woman of which Barbara is featured on the front cover. 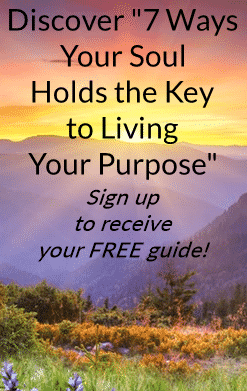 If you liked this article, be sure to download “7 Ways your Soul Holds the Key to Living Your Purpose” and receive other tips on how your Akashic Record can help you to live your purpose and thrive. Barbara Brodsho is a Soul Purpose Coach & Holistic Healer who empowers spiritual seekers, conscious creators and leaders to express their soul’s innate gifts and understand their life experiences from their soul’s perspective. As a result, they experience greater joy, abundance and fulfillment while creating and living passionate, purpose-filled lives. Programs and services include in-person and virtual Akashic Record readings, energy healing therapy, spiritual empowerment coaching and aromatherapy. 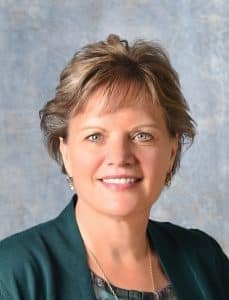 Barbara Brodsho is a Minnesota-based Soul Purpose Coach and Holistic Healer who empowers spiritual seekers, conscious creators and leaders to express their soul’s innate gifts and view their life’s challenges from their soul’s perspective. As a result, they experience greater joy, abundance and fulfillment while creating and living passionate, purpose-filled lives. She is a 2018 contributing writer for the international publication, SIBYL MAGAZINE--For the Spirit and Soul of Woman. Live Our Purpose and Thrive!